And let me conjure you, in the name of our common country, as you value your own sacred honor, as you respect the rights of humanity, and as you regard the military and national character of America, to express your utmost horror and detestation of the man who wishes, under any specious pretenses, to overturn the liberties of our country, and who wickedly attempts to open the floodgates of civil discord and deluge our rising empire in blood. The officers stirred impatiently in their seats, and then suddenly every heart missed a beat. Something was the matter with his Excellency. He seemed unable to read the paper. He paused in bewilderment. He fumbled in his waistcoat pocket and then he pulled out something that only his intimates had seen him wear: a pair of glasses. He explained, ‘Gentlemen, you will permit me to put on my spectacles, for I have not only grown grey but almost blind in the service of my country.’ This simple statement achieved what all Washington’s rhetoric and all his argument had been unable to achieve. The officers were instantly in tears, and from behind shining drops, their eyes looked with love at the commander who had led them all so far and so long. After Washington finished the letter, all officers present unanimously voted to support George Washington and Congress’ proposal. 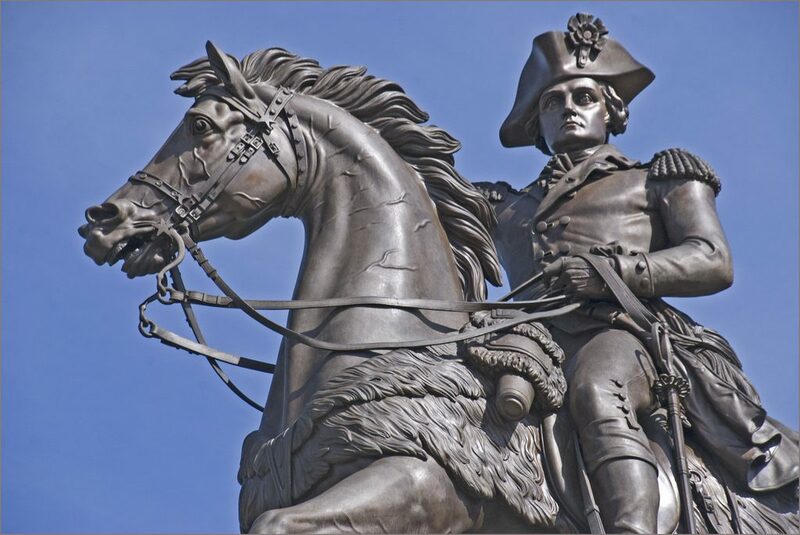 I will submit that it was Washington’s character, forged and tested over time in all types of challenging situations that gave him the moral authority in this exact moment to stir men’s hearts to support his vision. We are the beneficiaries of that character today. We therefore have an obligation to encourage the presence of that same type of character in our public positions of trust. Stay tuned for the conclusion of this 3-part series. What Happened to the Republican Majority?